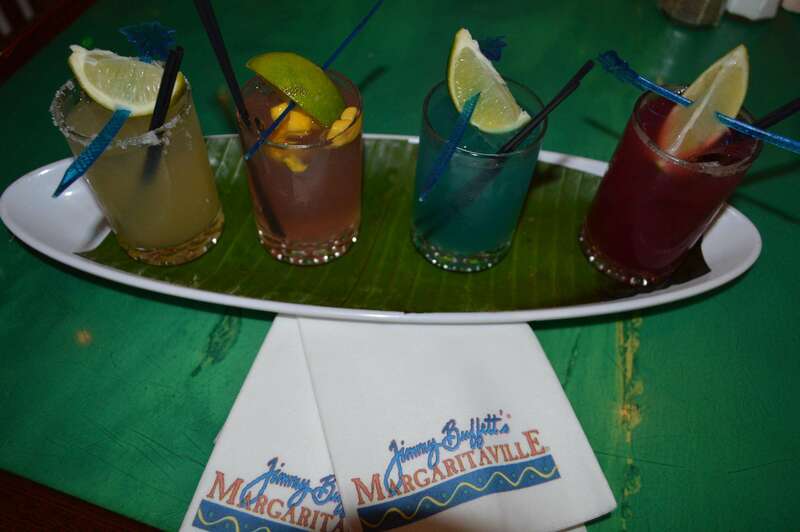 Margaritaville brings new menu, great fun and food! 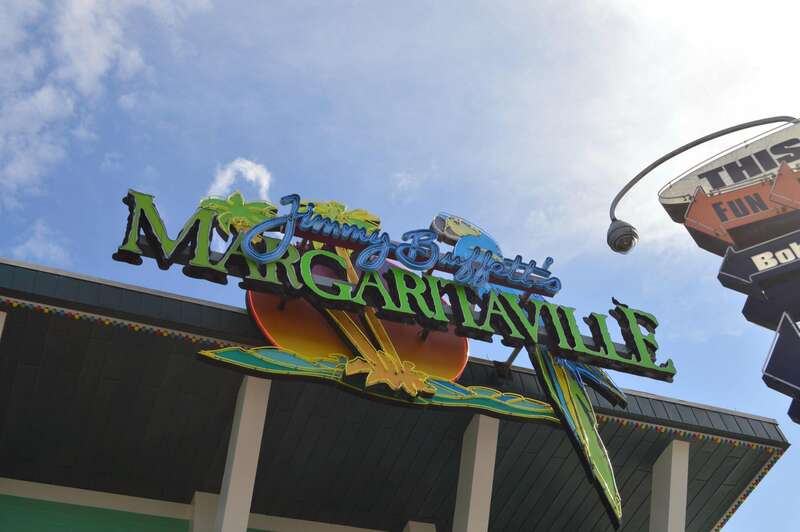 Margaritaville, located at City Walk at Universal Studios Florida is a staple to parrot heads everywhere. The restaurant, which is themed for Jimmy Buffet is a place to go to have some good food, a drink or two, listen to some awesome live music, and unwind from a long day in the parks or even at work. The entire place is themed like your at the beach. From tiki torches to a erupting volcano of margaritas at the bar, this place will make you think your “wastin’ away again in Margaritaville”. Jason from Orlando Fun and Food went out to the restaurant to try out the new menu and talk to the chef about the changes. First off, I want to clear some misconceptions. This is not a tourist attraction filled with overly priced food and merchandise. If you have ever been to Orlando, you learn quickly that most of these “themed” restaurants have just OK food at best, and you go there just for the atmosphere. Here is where the misconception comes into play. This restaurant is not one of those. A few months back the decision was made to change the entire menu to include all fresh food. The seafood and other food is made or delivered on a daily basis. I had a chance to sit down with the chef and try some of the new items that are being featured on the menu. 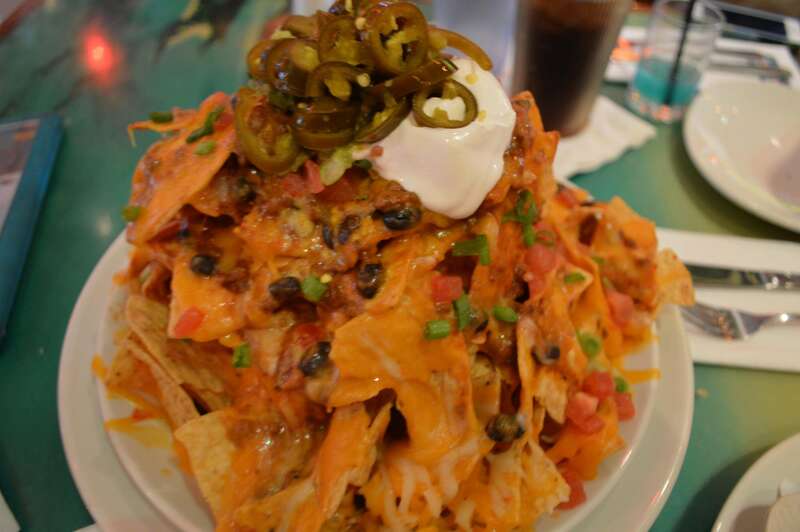 House-made tortilla chips topped with chili, cheese, fresh guacamole, sour cream, jalapeños, tomatoes and scallions. As you can see this app can feed a small army! This plate had some great flavor and the chili was amazing. I hear that many groups of people order this with their entrees and have to cancel the main dish because this fills them up! I can see why now! One of my favorites! 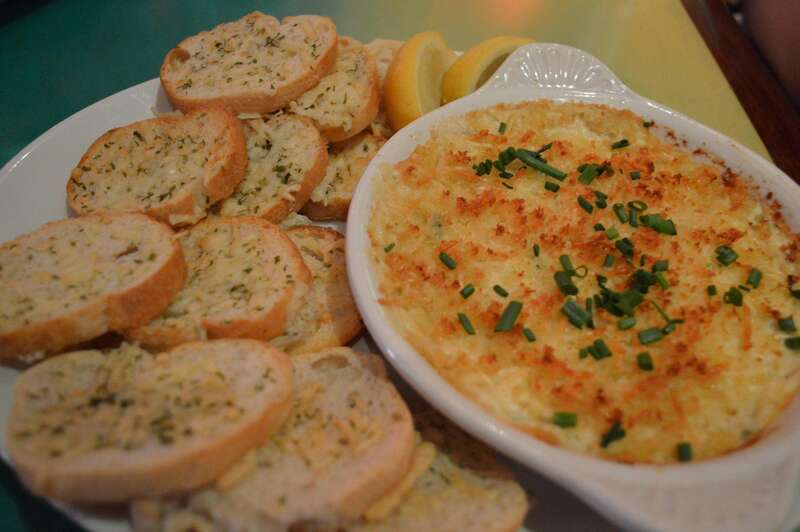 Menu states that this crab dip is made up of lump crabmeat in a sharp asiago cheese cream served with grilled crostini. Great creamy flavor and left me wanting more! 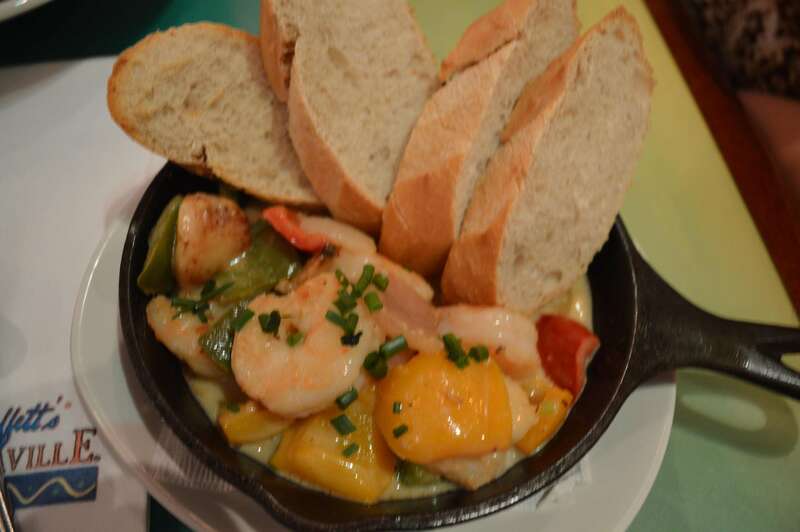 Sautéed shrimp with tequila key lime butter, roasted garlic and peppers, with a mini baguette for dipping. The sauce on this appetizer alone was well worth it! I would have been happy dipping the sauce in the bread, but the freshness of the shrimp and the kick of the garlic and peppers made this an over the top appetizer! Jerk-glazed shrimp dusted with sugared coconut served with pineapple. By far this was my pic for the best appetizer. I love spicy and this had a great mix of heat from the jerk BBQ sauce and the sweet from the coconut and pineapple. For anyone who likes a little heat, make sure to try this new appetizer! My girlfriend had the shrimp trio! 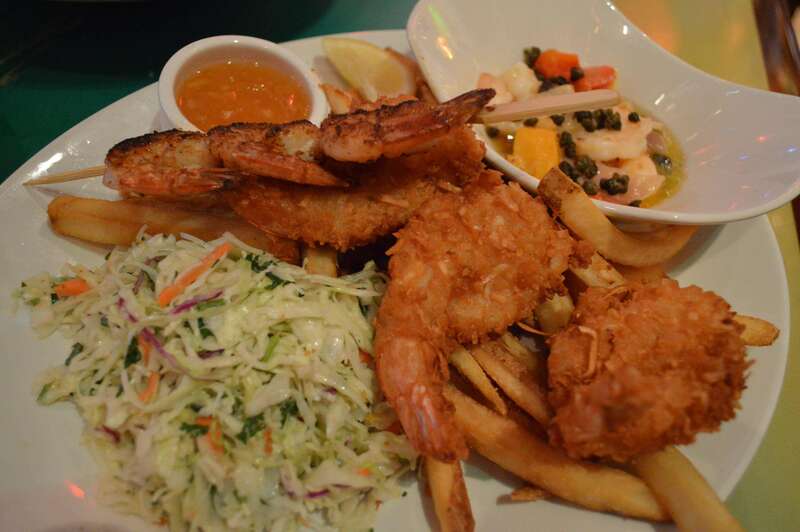 The menu says this plate has grilled blackened shrimp, sautéed island lime shrimp and crispy coconut shrimp served with French fries, cilantro lime coleslaw, jalapeño tartar sauce and Key West cocktail sauce. She loved this plate. The shrimp was the same as the drunken shrimp, but the coconut shrimp was her favorite. She said the Key West cocktail sauce was the icing on the cake! A must try in her opinion! I had the surf and turf. 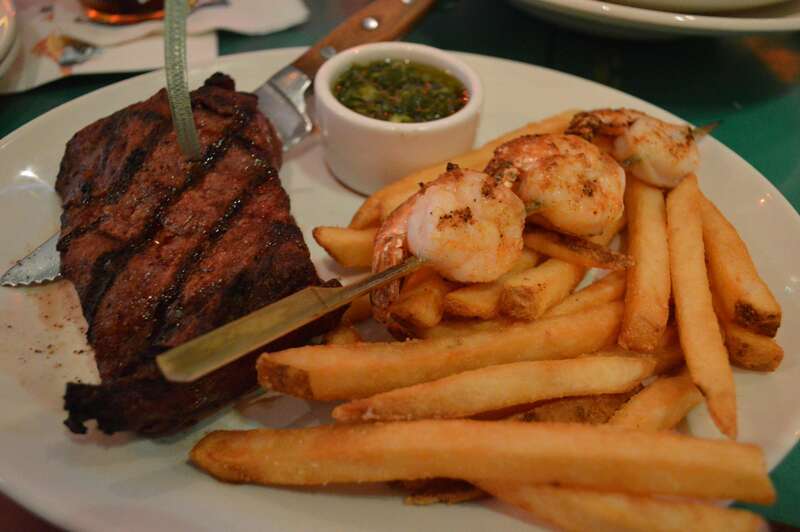 it had a 10 oz flat iron steak and grilled shrimp served with French fries. The shrimp were fresh and cooked well, however the steak was the kicker for me! Moist, cooked to perfection, and tender. One of the best flat skirt steaks I have had in a long time! This is going to hit the menu soon. 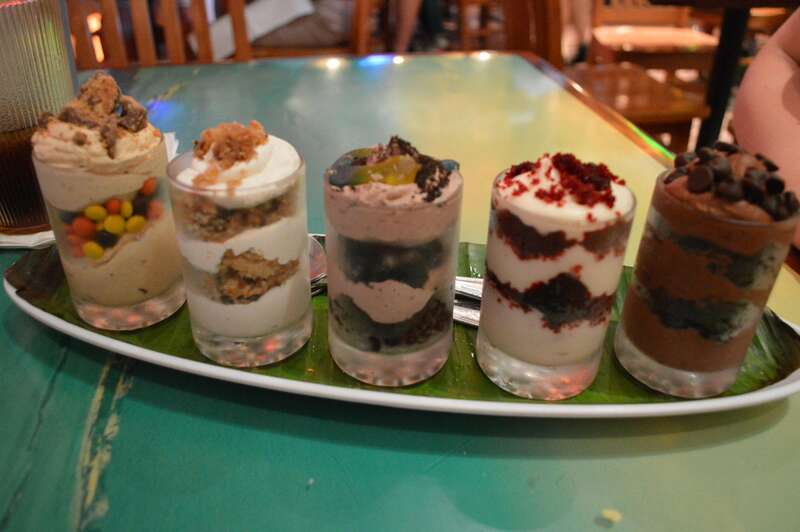 For those who still have a small sweet tooth after dinner, they offer shot glass sized desserts that ranges from a chocolate cake with chocolate mousse, a red velvet cake, a Oreo cake and more! Check them out on the menu soon! Also for kids there is a mud pie that included gummy worms! 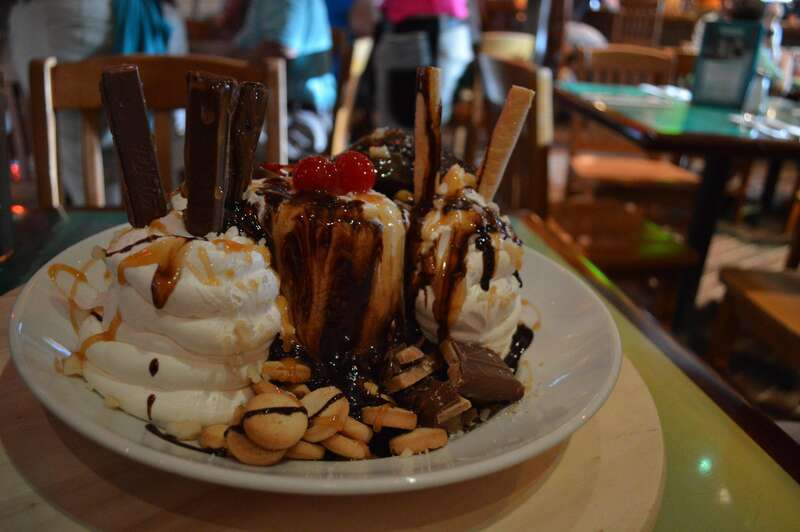 And for my choice of desserts… I want to introduce you to the Chocolate Hurricane! This dessert has everything the name implies. Vanilla bean ice cream served with brownies, Kit Kat and Heath bars, pirouette and mini shortbread cookies, sliced banana, whipped cream and chopped macadamia nuts. Swirled tableside with chocolate and caramel sauces! As you can see this picture is worth a thousand words and calories! (Just kidding but I’m sure it is up there somewhere!) This dessert was amazing and full of flavor! When we were done, it didn’t even look like we had touched it! Make sure to bring all of your friends to have this dessert! For the price and what you get I am choosing this as my must have dessert to share with friends at Universal Studios!!! We had a margarita flight that included four amazing drinks! When you cant pick the one you want, make sure to get them all! They tasted great, and made sure to kick the night off with a great time! 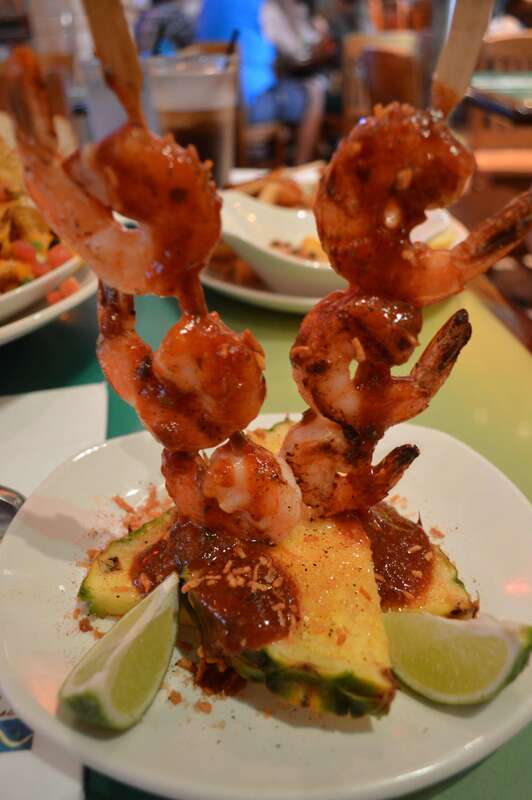 This restaurant is more than Jimmy Buffet, margaritas, and Landshark! Take away the name, the awesome decorations, music, and people and what do you have? A great place to eat with amazing fresh food! The portions are huge, and staff is warm and friendly! I am really impressed with this place, and I know I will be bringing my family back to eat there soon! If you do go by tell them Jason from Orlando Fun and Food sent you, and have a drink or two for me! Previous Post Exciting news from Orlando Fun and Food! Next Post Anna and Elsa begin meeting guests today at Magic Kingdom, Long lines to follow!